Put on your dancing shoes for a lesson tonight in the art of the ballroom. GOT THE MUNCHIES? : No, this isn't an event for a post Phish concert. If your're hungry, and you can't wait for the NCAA tournament to kick back into high gear, this is the night for you. The Wood-n-Tap is kicking off their fourth annual Munch Madness contest tonight at their Rocky Hill location. The rules are simple. Teams of four compete in a relay contest to see who can eat 12 bar bites (mini burgers) the fastest. The top two fastest teams advance to the finals on April 5th in Hartford, to compete with the best teams from the other four regions (to be held at various times in the Tap's other locations). The prizes range from t-shirts to gift cards and even ticket packs to UConn Football games and the grand prize of four VIP tailgate party tickets to the Opening Day Patriots game. It's $20 to enter. 7:30pm. DANCING WITHOUT THE STARS: Have you got the soul for the ballroom, but the feet for standing against a wall with Jakob Dylan? You are not alone my friends. But wait!! There's still hope for you (and us for that matter). 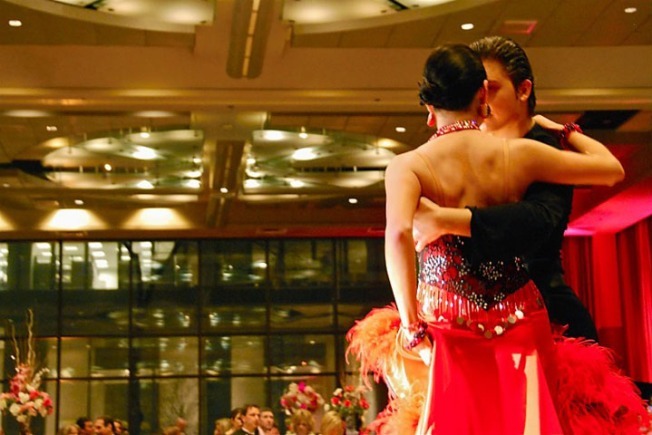 Head to the US Dance Club in Rocky Hill for some lessons in ballroom dancing. Classes are geared for both singles and couples and include the foxtrot, waltz, swing, rumba and the tango (though that takes two). 7pm. HOLY SHUI: Plenty of restaurants have happy hour (and believe us, we're thrilled that they're there). But those happy hours are all-to-often over before we'd like. That's where Feng in Hartford comes into play. If you're a night owl, looking for a little late-night snack, head to the Asian Bistro tonight. From 10pm-midnight, enjoy Feng's late-night menu filled with all your favorites will definitely put a smile on your face.